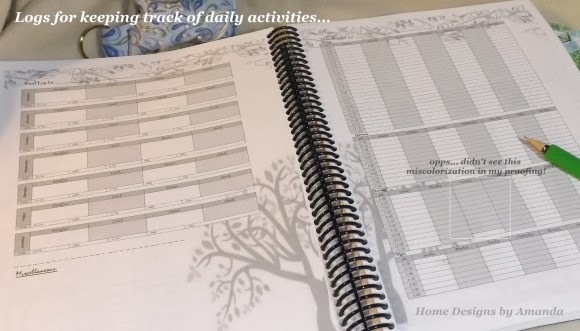 I've always liked looking at different types of day planners and seeing if they'd work for me...but I don't usually ever buy one! For 2012, I just used a monthly planner calendar from the dollar store...worked pretty good, but those little blocks get filled up quick... In 2013, I tried a variety of things...mostly different printouts I'd make, until about September, then I started using a basic tablet. 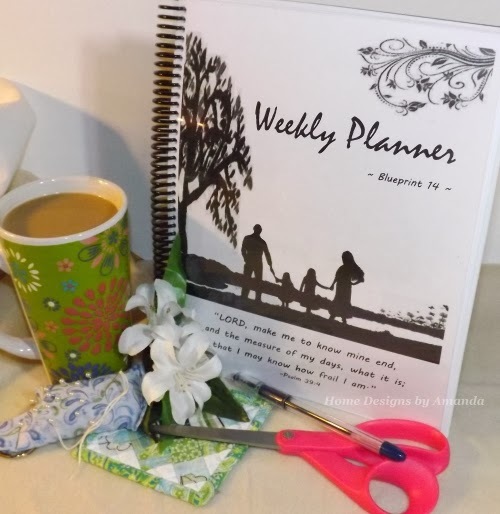 This worked well, and I liked it, and was even expanding it to use two pages per week instead of one....but the issue was that I had to make all the lines, dates, checklists, etc. every week. Well, at the beginning of the year I saw this and this post on A Holy Experience and took those inspirational ideas of a manifesto and daily planner and made my own . 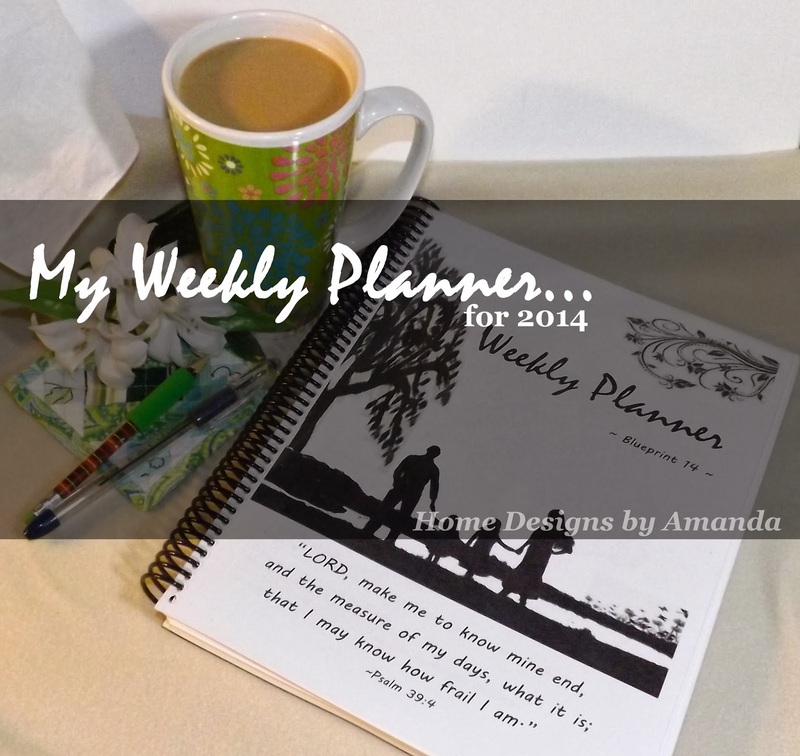 So, the first post was about a "manifesto" for the upcoming year to have a direction and goals to work toward...well, I wrote mine out and it became Blueprint 14. 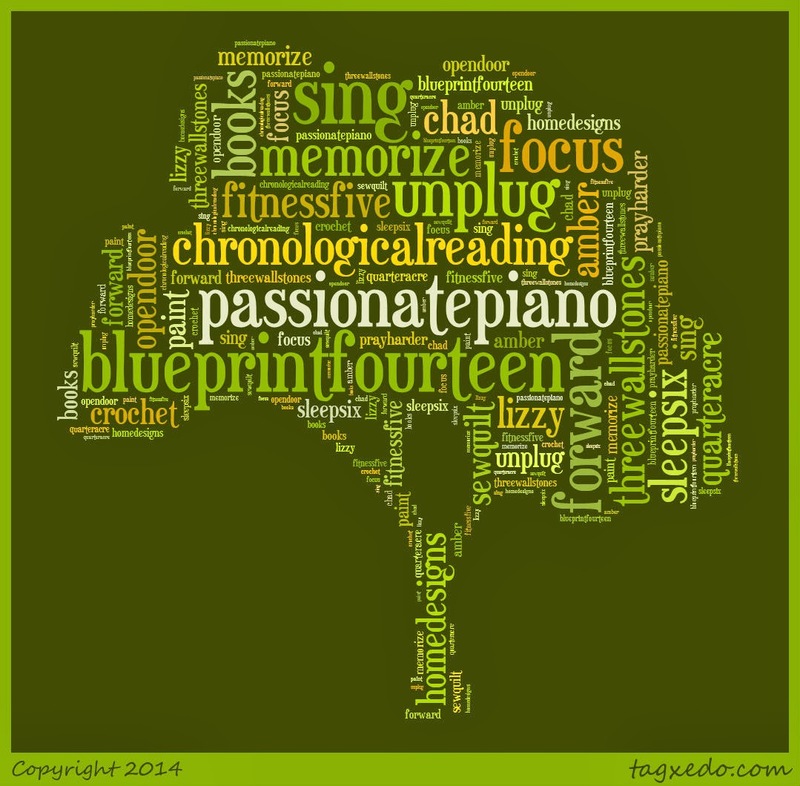 Since a printable to go with a manifesto is rather personal, I went to Tagxedo and made one for Blueprint 14! 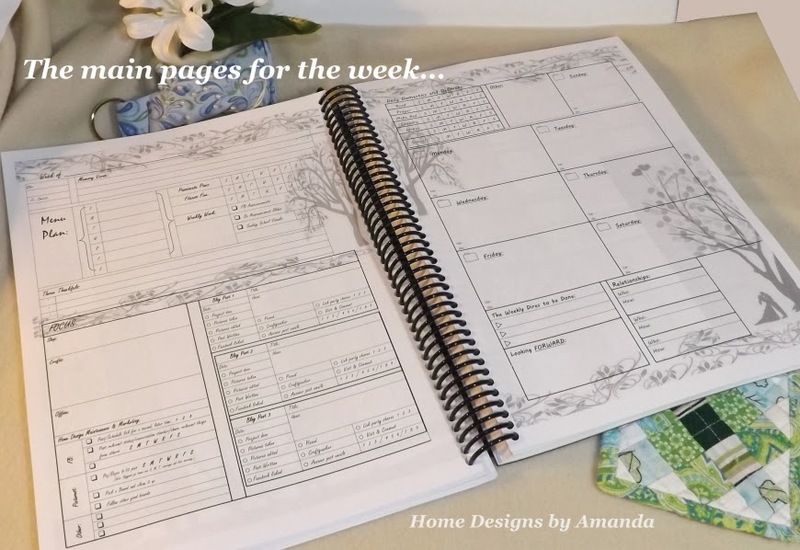 My loving husband said ok, so, I tweaked the pages to make sure they were exactly what I wanted, added some nice graphics, uploaded it to Staples, and viola...it came in the mail on Monday! Obviously, opting for black and white was more economical and I think silhouettes are pretty neat! then repeated to last a year! Once I got it, I've found a couple very minor things that need tweaked and had ideas for the graphics to go with the season... but those will have to wait till next year, if I decide to produce my own planner again, which is highly possible :) And I'm sure by then I'll have some things that I'll want to add/take off of this years planner. Also, it is rather thick, so depending on the pricing, I'm thinking that dividing it into 1/2 year increments would be nice too! But I am really excited...it is very neat to have the whole year right there ready to use, on such nice paper (and I chose the lowest quality option, lol), and so personalized!